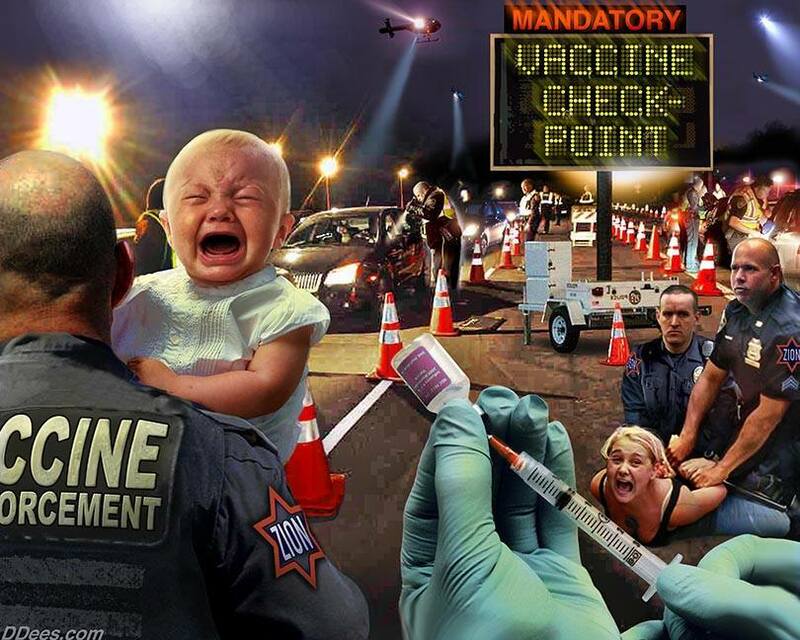 Forced Mandatory Vaccinations for all is very near. You have a right to say what goes in your body and Big Brother is going to take that away or you can not fly, cannot go to any Federal buildings or interact with the general public. This is getting very, very serious folks. The World Health Organization (WHO) is very concerned about the problem of “vaccine hesitancy,” which they say is threatening the effectiveness of their worldwide vaccination program. In short, some parents are not automatically allowing their babies to be vaccinated even though such services are available. They are pausing, thinking, and in many cases walking away with their babies in their arms, and leaving the vaccine filled hypodermic syringes to be used for someone else. Adults also are not responding to calls for receiving vaccines even when they are free. WHO is working to build an image in the minds of the public that vaccine hesitancy is a condition that requires diagnosis. It is much like a disease or mental illness, which they intend to treat through various mind control strategies. Of course they don’t use words such as manipulation and mind control – they only use politically correct and friendly sounding words to describe their plans. WHO planning documents are always speaking about promoting the good of humanity, correcting the plight of the poor, resolving the unequal and harmful treatment of women and girls, and protecting the environment from human destruction. They are the big brother that will help us all live in a utopia of their design and creation. WHO would never tell us that “we are going to badger you until you change your mind about accepting vaccinations.” Instead they say, “Effective communication is key to dispelling fears, addressing concerns and promoting acceptance of vaccination.”  The result is still the same; they are following a deliberate plan to eliminate opposition to vaccination. US Bioweapons Lab with links to the Bill and Melinda Gates Foundation at core of Ebola epidemic? Good sharing information about Baby Vaccination. this is very valuable for everybody.